What happens when the oceans are emptied of all their fish? What happens when three hundred years of human knowledge and expertise disappear before the onslaught of the technology-driven world? 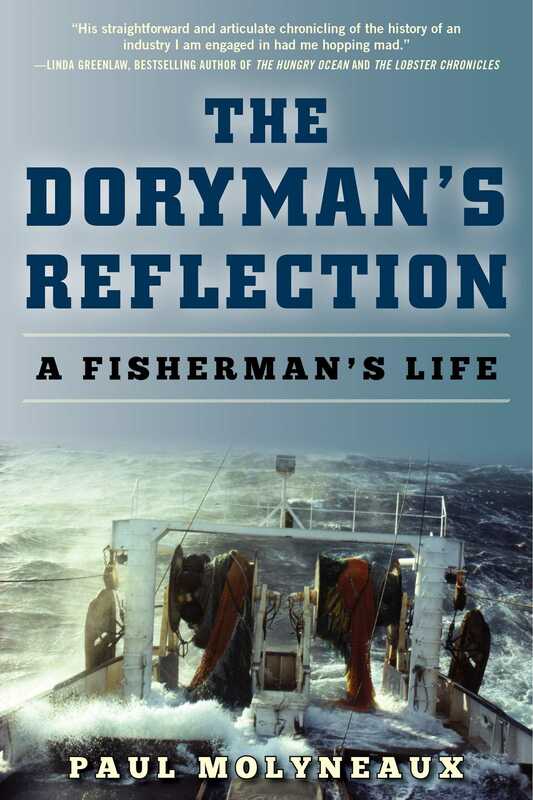 The Doryman’s Reflection is simply the most accurate and eloquent account of what transpired in the New England fisheries over the past half century, as told by the people who lived it, including author Paul Molyneaux. Fishermen survive as relics, the last hunter-gatherers among us. Their boats, crammed with ropes and nets, carry the mystique of a nearly forgotten world ruled by the elements. Now an accomplished writer, Molyneaux as a young man journeyed to Maine with no experience and a dream of working on a boat. This is the story of his apprenticeship with Bernard Raynes, one of Maine’s last independent commercial fishermen. The Doryman’s Reflection speaks to those who want to know what really happened, and what will happen, on our oceans. Part coming-of-age memoir, part biography, it is a very personal account of what families in this dying but important industry face each day. Molyneaux shares his own history as a young man seeking the fisherman’s life in Maine and Alaska. Originally published in 2005, it has been thoroughly updated to cover the events of the past ten years. Told through the life of the colorful and engaging Bernard Raynes, The Doryman’s Reflection is alive and real and powerfulfar from a dry, pedantic treatise on the economics of commercial fishing.